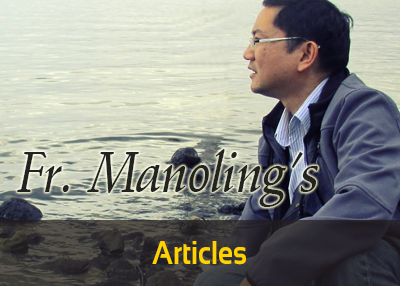 The event will launch Father Manoling Francisco, SJ's new book entitled To Gaze Upon the Lord's Face. This is Fr. Mano's first book of Gospel-based reflections. Along with the book, Bukas Palad Music Ministry will launch their new album, Behold the Risen Lord. This album completes the trilogy of Bukas Palad's recordings that feature specific litrugical seasons, the two other albums: Behold The Child (Christmas Season) and Behold the Cross (Holy Week). Celebration of the Holy Eucharist with Fr. Manoling at 6:00 pm will close this Prayer Concert. For those who would like to pre-order feel free to call, Tanging Yaman Foundation, Inc. via 426-5996 and look for Ms. Irene.